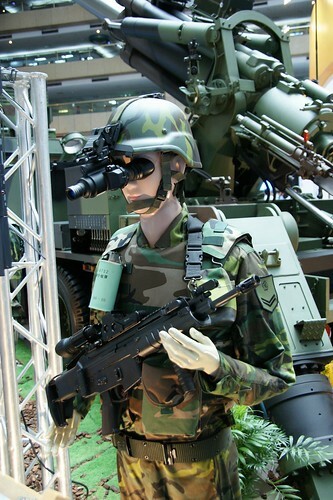 In the Taipei Aerospace & Defense Technology Exhibition 2009, the Armaments Bureau of Ministry of National Defense displayed a new assault rifle, the T97. This new designed rifle is in 5.56mm NATO caliber, and also available in 9mm Para. 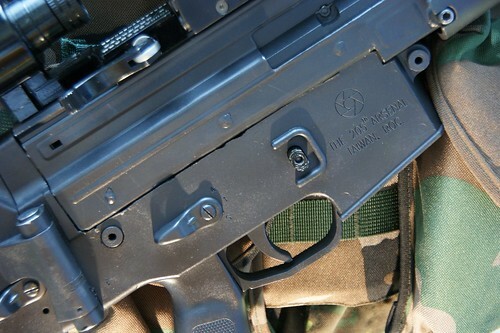 It may replace the current T86 amd T91 assault rifle. I am pretty sure Armaments Bureau took some famous advanced rifle for reference when they designed T97. 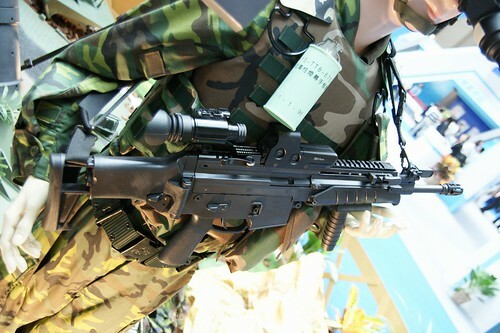 You can find some similarities among T97 and HK G36, FN SCAR, and ACR. Be honest, T97 does not look good from its appearance. I always believe if something does not look good, it won't function well. T97 is still a prototype at current stage, hope the final design will look much better and does meet the needs of modern ground force.